Boy I'm cutting it pretty close today huh? Lucky it's a Saturday so I had all day to panic about what design I was going to do. I had a total "writer's block" on this design. I even did a different design... I chose not to use that one for today but I'm sure I will show it at a later time. I'm quite pleased with what I finally came up with for today's theme, delicate print. The base of this manicure is Zoya Zuza. 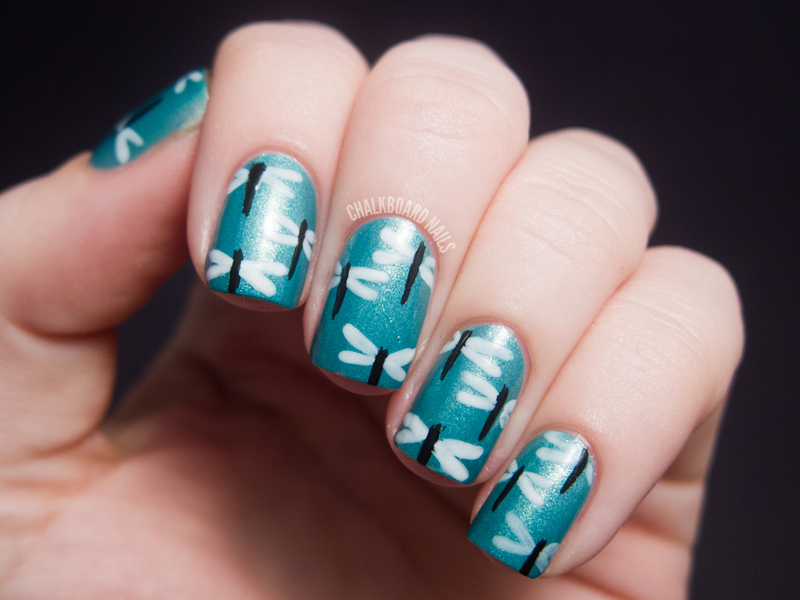 Then I used my It's So Easy Nails Stripe Rite in black to paint on the bodies of the dragonflies. Finally, I added the wings on using my medium length striper brush. I used a mixture of OPI Don't Touch My Tutu and China Glaze White On White to make a white that wasn't so stark. 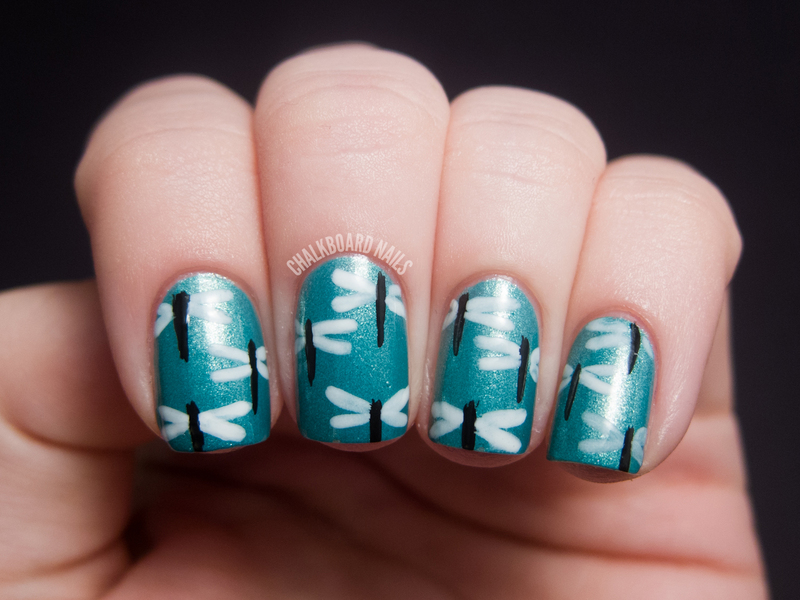 If you wanna see some killer dragonfly nail art, make sure to check out Sonoma Nail Art. 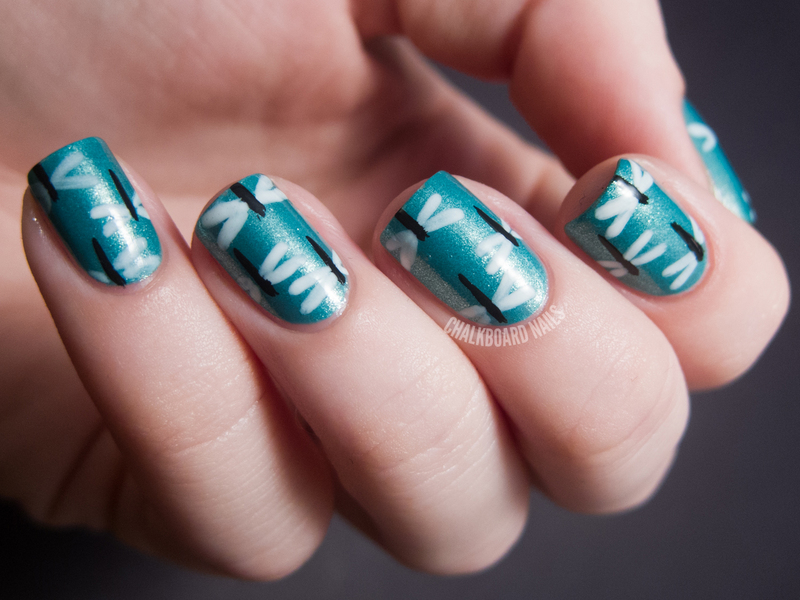 Such an awesome manicure! Last year's delicate print was an attempt at a henna pattern. You can also take a look at upcoming challenge prompts here. I LOVE this- it's so unique! And definitely delicate. I would love to see what your first design was. I love the color combination and the idea! 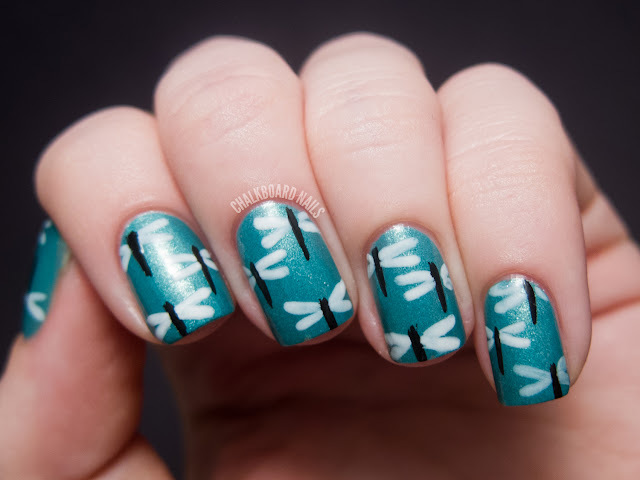 I love this - when you said "delicate print" I was thinking about lace and stuff like that, but I think this really works too! Very delicate and absolutely gorgeous! Lovely design and I love the colors you chose! I hate getting writers block on a challenge. This turned out fantastic though. Good job working through your block! Ahhhhhh this is so adorable!